States set the rules on personal checking accounts, guided by a collection of rules called the Uniform Commercial Code. The point of the UCC is to make laws governing business activities uniform between states. Articles 3 and 4 of the UCC address negotiable instruments including personal checks, bank deposits, collections and fund transfers. Personal checks are designed uniformly to create a standard format that everyone involved in a transaction can easily follow. The bank needs to know that no one has tampered with a check, so use a pen when you write one. All the check’s sections, except the payee and memo lines, must be completed for the check to be valid. Write clearly so the bank can correctly handle the check. If you don’t, the bank might refuse it. You’re not supposed to postdate checks – that is, write in a future date. The legal line, where the payee designates the amount of the check in written words, and the box where you write the check amount in numerals should match. The check must also be signed for it to be valid. Although you don’t have to fill in the payee line, you should. 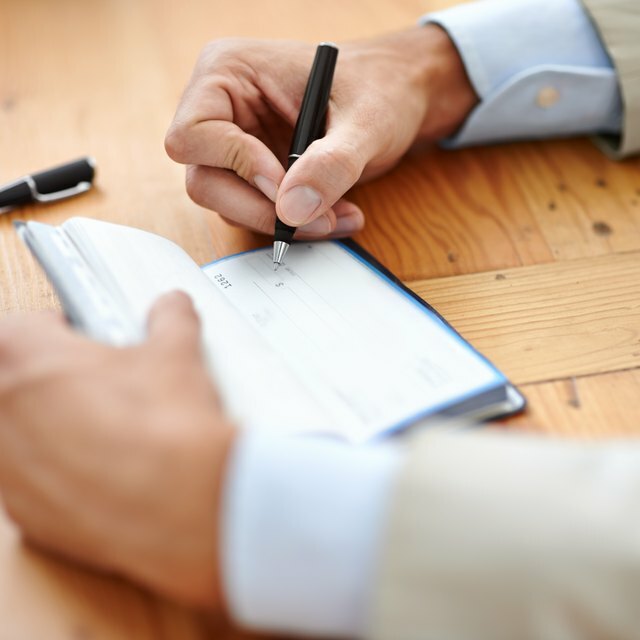 Leaving the line blank creates what’s called a blank check, meaning anyone holding the check can cash it. If you make the check out to “Cash,” that also allows anyone to cash it. If you fill it out to two people, connecting the names with “or” lets either person cash it. Connecting the names with “and” requires both payees to endorse the check to cash it. The payee can deposit or cash a check after endorsing, or signing, it. The payee can skip the endorsement and write “For Deposit Only” instead, which restricts what the bank can do – the bank can only deposit the check into the account of the payee. The payee can also use a special endorsement, signing a check over to someone else. To make the special endorsement, the payee endorses the check and then writes “Pay to the Order of” followed by the new payee’s name. That person then endorses the check to cash it. However, banks don’t have to cooperate and may not accept a special-endorsement check, so it's best to check your bank's policies first. Banks don’t like irregularities and tend to be cautious when they occur. To protect themselves, banks sometimes balk at processing any check that is out of the norm. If you have an atypical situation, call the bank to learn its policies. The UCC covers how to handle certain common irregularities. For instance, if the legal line and numerical amount on a check don’t match, the amount on the legal line wins. If a check is postdated, the bank doesn’t have to wait to pay it. Banks also don’t have to cash checks that are more than six months old, but they may do so. Nolo: What Is the UCC?